Good contrast between UI elements and consistency (imho). Plain colours; no bright colours and (almost) no gradients. 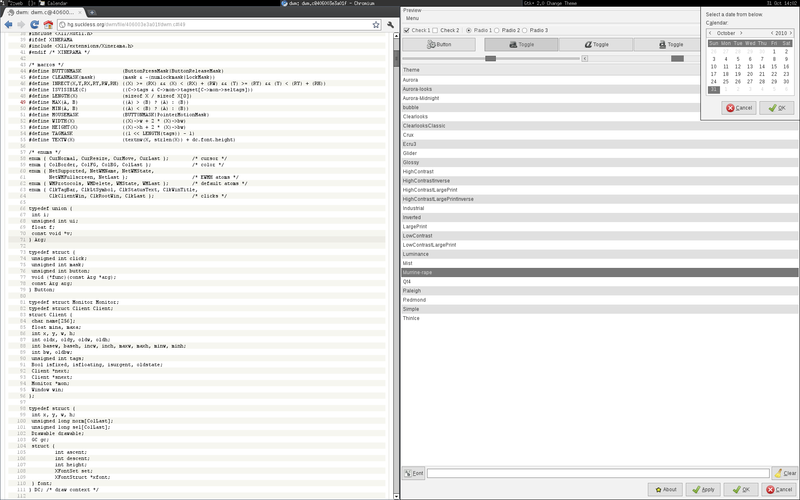 Uses the fast and easy customizable gtk-engine-murrine.